Cardiac imaging growth has been on the decline over the past 10 years, indicating increased adherence to appropriate use criteria (AUC) for imaging tests, according to a Leadership Page article in the Journal of American College of Cardiology. "Physicians who have been provided with AUC data on their imaging use have recognised their shared responsibility for appropriate use of imaging services and have improved their practice patterns," writes Dr. Robert Shor, Secretary and Chair of the Board of Governors of the American College of Cardiology. However, he notes that physicians continue to face some major challenges, including prior authorisation and claim denials by payers. Previous research has shown that U.S. physicians spend more than 868 million hours yearly on prior authorisation activities1. "Finding ways to educate payers, lawmakers, and physicians themselves about the AUC process and how they can hold down costs, improve treatment efficacy, and ensure patient safety is key to this effort," Dr. Shor says. In addition, the College has continued to expand its “Imaging in FOCUS” (FOCUS) initiative to help providers better understand their imaging practices, identify areas for improvement, and incorporate AUC at the point of care. 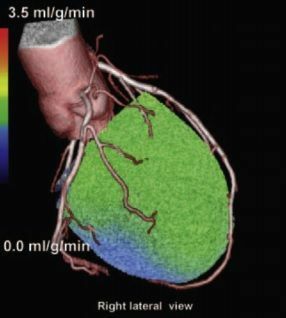 Data from providers involved in FOCUS have shown a significant decrease in the proportion of single-photon emission computed tomography myocardial perfusion imaging tests not meeting appropriate use, from 11 percent to 5 percent in a cohort of more than 1,000 studies2. 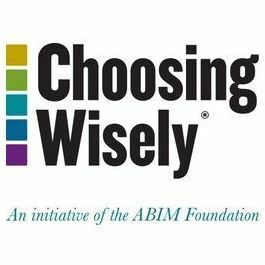 Another study of 472 patients with suspected coronary artery disease found that the use of a real-time, multimodality decision-support tool, like that used in FOCUS, led to a reduction in inappropriate testing from 22 percent in the first two-month period to 6 percent in the last two months3. "As a result of these successes," Dr. Shor says, "the College is expanding FOCUS beyond health plans and the current case-review tool to offer an ongoing subscription service directly to hospitals and practices that integrates AUC decision support directly into electronic health records for all noninvasive cardiac imaging." Ongoing discussions with the Centers for Medicare and Medicaid Services, other medical societies, and others around the upcoming implementation of the AUC mandate. "We are urging that our ACC AUC be used and included in the mandated Centers for Medicare & Medicaid Services rules and are quite hopeful that this will occur," says Dr. Shor. 1. Terry K, Ritchie A, Marbury D, Smith L, Pofeldt E. Top 15 challenges facing physicians in 2015. Medical Economics. December 1, 2014. Available at: http://medicaleconomics.modernmedicine.com/medical-economics/news/top-15-challenges-facing-physicians-2015?page=full. Accessed July 23, 2015. 3. Chinnaiyan K.M., Peyser P., Goraya T., et al; Impact of a continuous quality improvement initiative on appropriate use of coronary computed tomography angiography. J Am Coll Cardiol. 2012;60:1185-1191. 4. Carr JJ et al; 2013 Appropriate Utilization of Cardiovascular Imaging: A Methodology for the Development of Joint Criteria for the Appropriate Utilization of Cardiovascular Imaging by the American College of Cardiology Foundation and American College of Radiology. J Am Coll Cardiol. 2013;61(21):2199-2206. doi: 10.1016/j.jacc.2013.02.010. 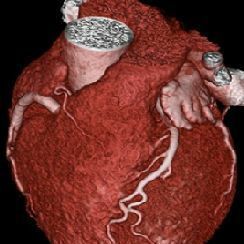 Multimodality Imaging of the Heart: Is More Better? Reducing Low-Value Imaging - More Intervention Needed? healthmanagement, American College of Cardiology, cardiac imaging, coronary artery disease, appropriate use criteria Cardiac imaging growth has been on the decline over the past 10 years, indicating increased adherence to appropriate use criteria (AUC) for imaging tests, according to a Leadership Page article in the Journal of American College of Cardiology.